CanadaVet.com Blog: Is it Real? This great photo caught my eye - is it real I thought? The answer is, unfortunately, "no it's not". This is one of the photos from the book "Translocation" by photographer George Logan. 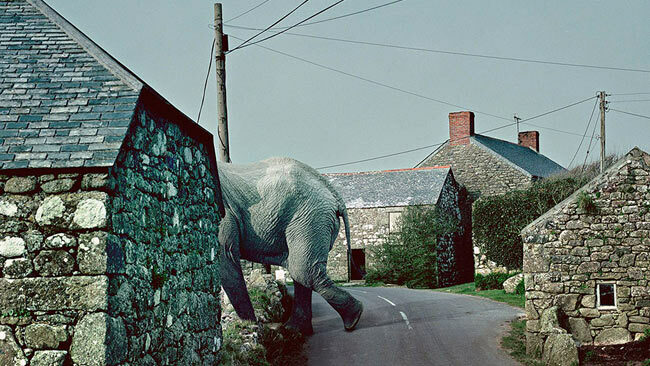 Mr Logan has taken photos of African animals and transposed them in to locations in England and Wales. Certainly interesting way of looking at things. All profits from the book go to an African animal charity. For more of these great photos, visit Mr Logan's website.